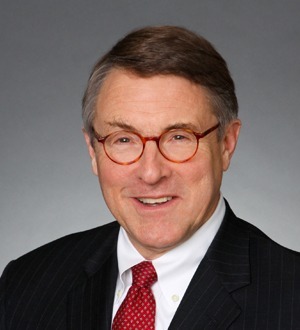 Jeff Cross is a Partner in the Litigation Practice Group. Jeff has nearly 40 years of extensive trial experience representing a variety of corporations and businesses throughout the country on antitrust, securities fraud, contract, real estate, environmental regulations, libel and slander, false advertising, commercial code and trade regulation issues. Jeff also has experience in distribution and franchise law, not only litigating distribution and franchise cases, but also counseling clients in distribution, marketing, sales and pricing programs. Jeff has experience in mergers and acquisitions, including counseling clients in the area, working with economists to develop economic support for mergers and acquisitions, responding to government requests for documents and data and negotiating with the government.